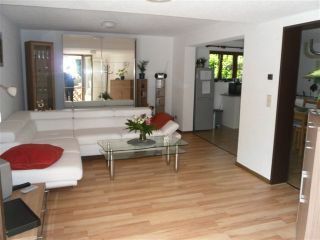 Waiting for you a fully furnished 65 sqm apartment in an idyllic quiet location. We heat with wood pellets Co2 neutral. Stream, such as hot water we produce ourselves! 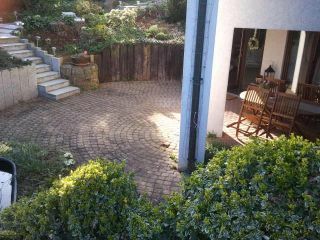 Own secluded terrace with barbecue. Very suitable for people with allergies. Living room with sofa bed, 1 bedroom with double bed. Bathroom with shower and bath, separate toilet. Apartment occupies with 1 to 2 people 45 euros / night - from 8 nights 40 euros / night - from 15 nights 35 euros / night Each additional person 8.- € per night plus visitor's tax Final cleaning 25 Euro (also for an overnight stay) If Interim Cleaning desired with longer stay, then 25 euro additional. Linen and towels included. Additional Of the local tourist tax of 1 Euro per day / adult. You will receive a guest card with which you can get a lot of discounts and free use of bus / train. Children up to 12 years old and business people do not need to pay tourist tax. Please ask us about offers, should you be on business in the region. We are happy to rent out a long period of time. Special Price. Enjoy the beautiful Hotzenwald, the Rhine, the proximity to Switzerland or France and the beautiful city of Bad Säckingen.